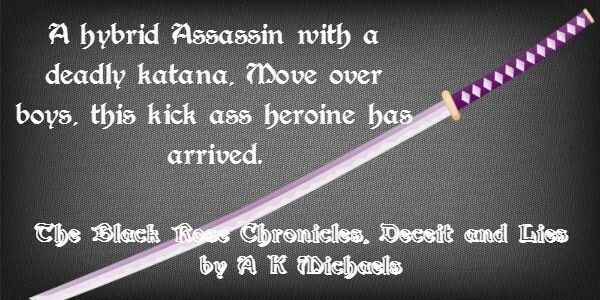 THE BLACK ROSE IS DEADLY AND ON A JOB TO KILL THE KING ALONG BUT FALLS IN LOVE WHAT WILL SHE DO?? I received this amazing book as an ARC from the very talented and out of this world Author A K Michaels in exchange for an honest opinion. 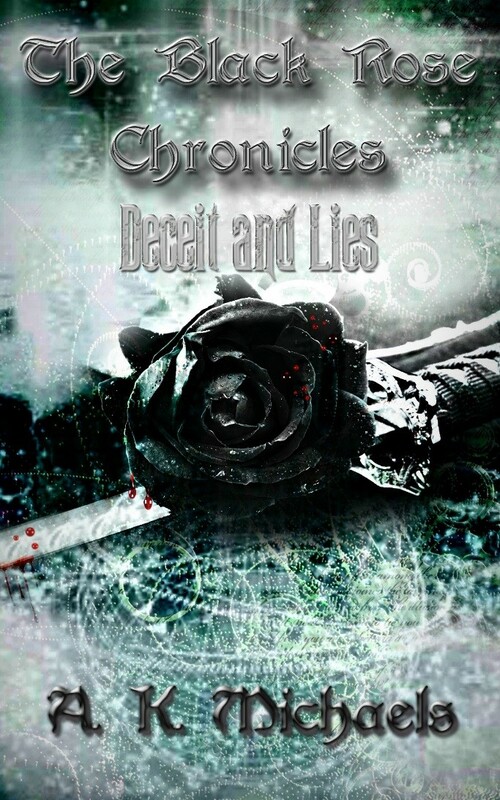 This is Mismousey’s very honest opinion of ” THE BLACK ROSE CHRONICLES, DECEIT & LIES”. Ms. Michaels is the famous author of the HIGHLAND WOLF CLAN SERIES – along with 5UPERNATURAL ENFORCEMENT BUREAU SERIES-THE WITCH, THE WOLF & THE VAMPIRE BKS 1-3 and so many others. Having read and followed the Highland Wolf Clan along with the SEB series. Ms. Michaels now has me hook-line & sinker with this amazing one. From the very first page you are captured and held there until the end. From the beginning of each page to the next you are left on the edge of your seat/edge of the page. Left wanting more and more of this fabulous story. The Black Rose is a truly wonderful story about a young women by the name of Rose – her full name is Rose Marie O’Connell. She is known as the assassin the council-only they know who she is but not what she looks like. The council has chosen a new King- his name is Cassius. Someone wants him dead. They have called in the Black Rose- to do the job. What they haven’t realized or didn’t know about her is that she always does a recon about her mark. 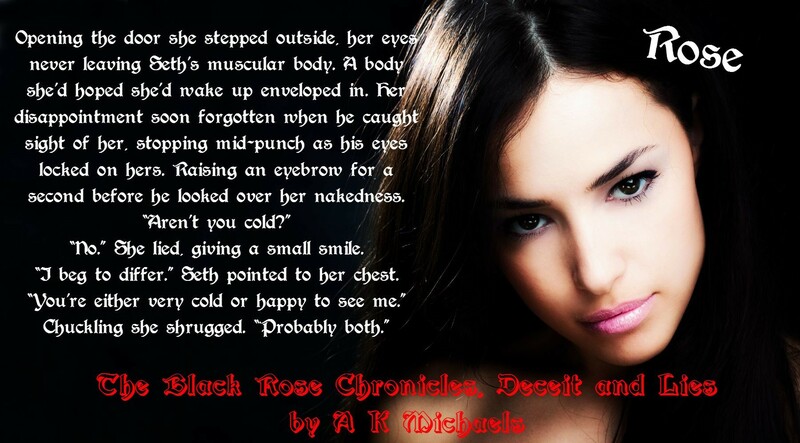 The Rose gets to know her subject well before she moves in for the kill. During this time Rose has gone under cover working for the new King as a computer geek. Little does he know that she is working under cover and also a witch. You see the vampires over the years have been killing off the witches along with other paranormal’s. Now the King has new ideas and new rules that he is putting into action. 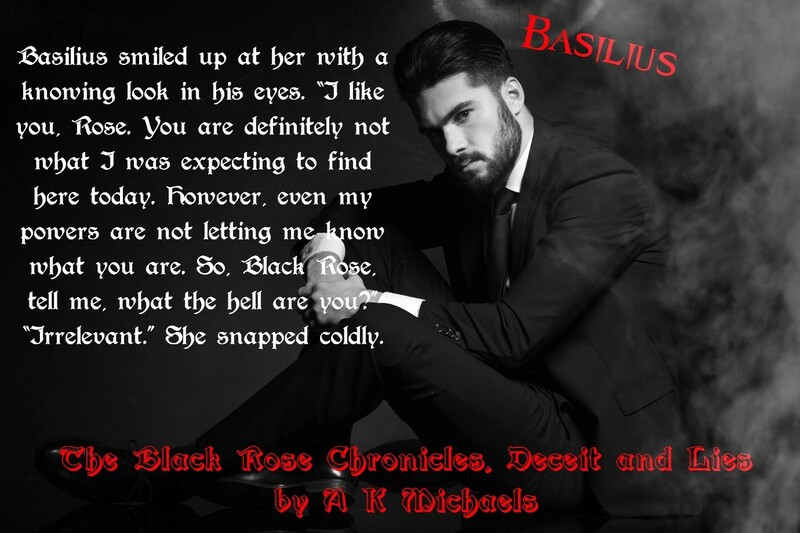 The Black Rose has a lot of twist and turns in it. This is a fang-tastic read. This is one book you have to read. Does the Rose kill the king? Or is there something else for them together in their future? Why would the Rose be lied to ? And what is the real reason the demon wants Cassius dead? For all these answers and more you HAVE TO READ THIS STORY!! I recommend it to everyone -especially those that love Paranormal!! 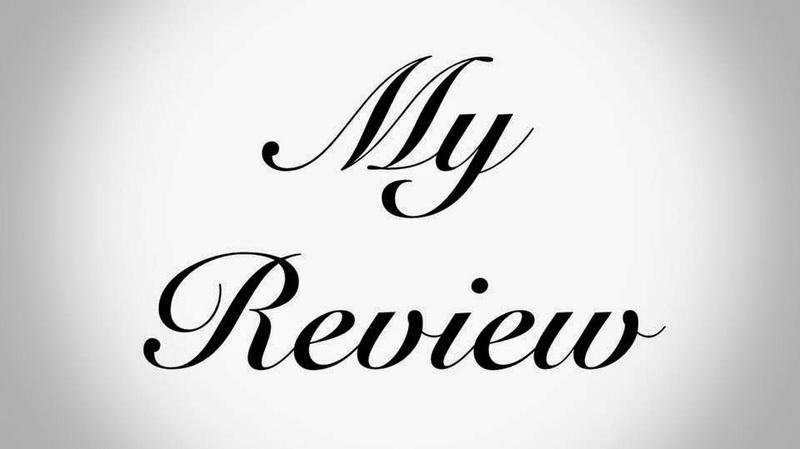 Mismousey gives a firm rating of 70 out 5 stars. NOW ADD THIS AMAZING READ TO YOUR GOODREADS TO READ LIST – THEN FLASH AND GET YOUR COPY TODAY!!! A K Michaels, Ava, is a best-selling author whose books have won awards within the Paranormal Romance scene. She was born in Scotland quite a number of years ago and was married at a young age, and is mother to three much loved children. 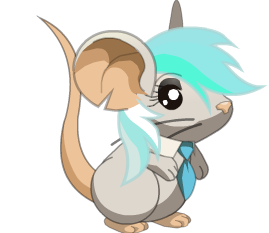 After the birth of her last child she went back to higher education to study, before gaining employment within the banking industry. She worked in that role for a number of years before leaving; both the job and the country.